Our Wedding Limos are a perfect way to make your day special. Hiring our wedding limo service, not only adds sparkle to your day but also makes it memorable for your guests. Blackbird has a wide variety of vehicles to choose from when it comes to owning the best day of your life. 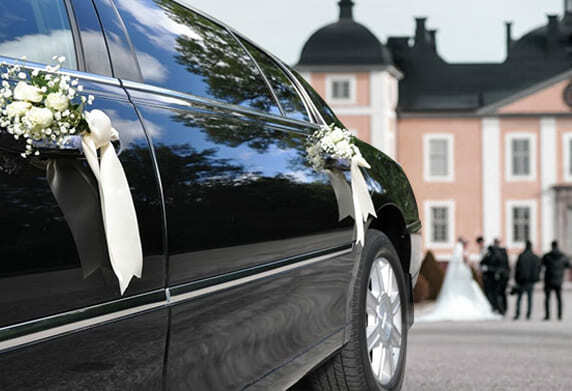 Our Wedding Limo Service receives and drops-off the guests in style and comfort at various locations. We also know that as soon as the wedding bells ring, rather than enjoying the process, many of you will be troubling yourselves with all the ceremony arrangements. However, when you hire Blackbird Wedding transportation, one thing we ask you to do instantly, is relax, and enjoy! Make wedding ceremonies special with us!